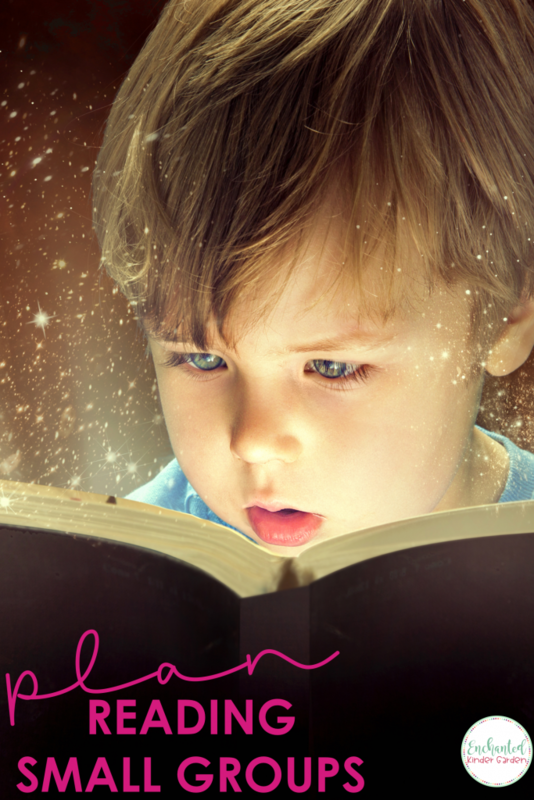 Teaching reading small group has always been something that hasn’t come easily for me. I’ve always had to work harder, research more, plan longer and take more time prepping. Incorporating things like technology into my classroom comes naturally for me. However, it definitely is not the most important detail for my students. When I first began teaching, I had NO clue what intervention or teaching a reading small group was. I didn’t know why small group was so important. If you’re a new teacher or even new at reading small groups, I want to tell you all that I’ve learned over the years. I have to be honest and say that small group instruction used to be one of my LEAST favorite things to do. Well, that was until I figured out that I was doing it ALL wrong. Small group should be fun for the kids and for the teacher. They don’t only have to read books. They don’t only have to do what’s in that “teacher’s guide”. 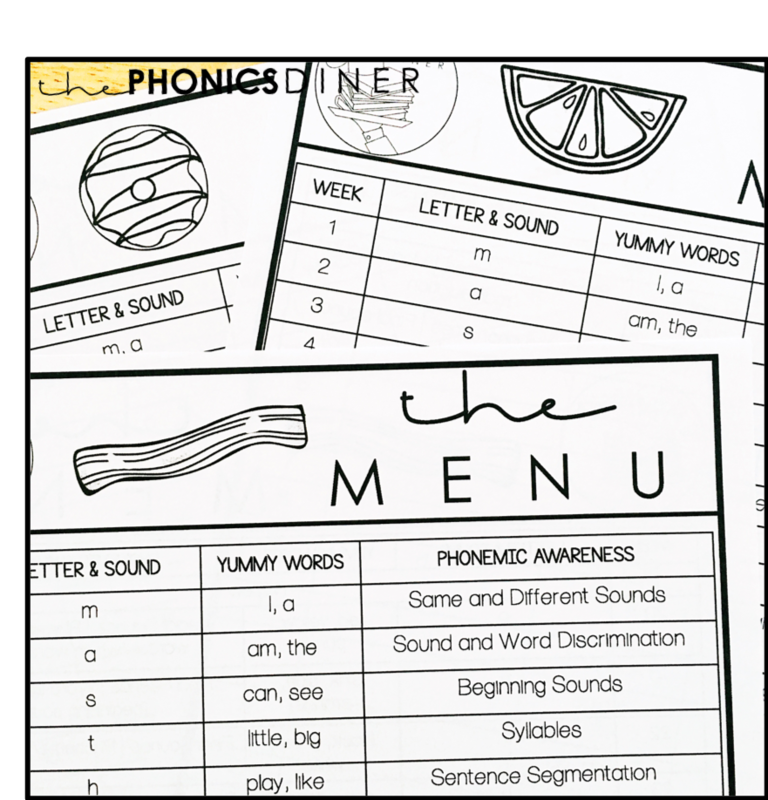 In August, I introduce what I call The Phonics Diner to my students and parents. 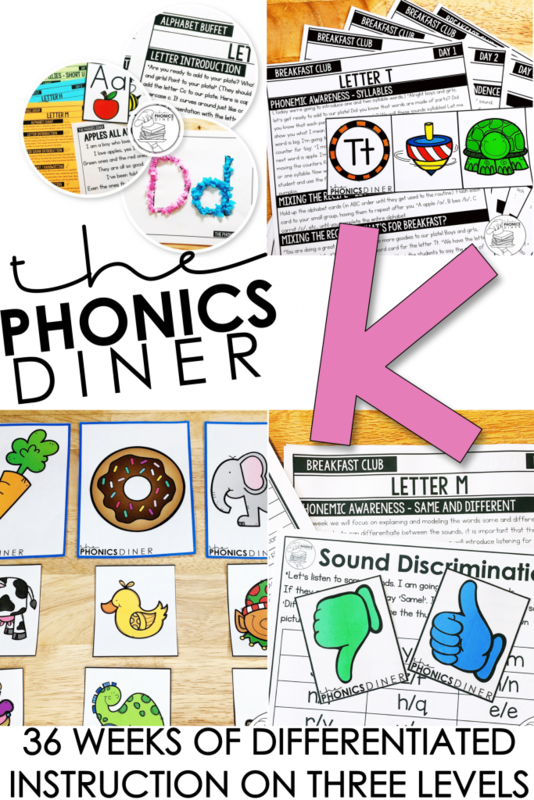 The Phonics Diner is something that I created with Angela from The Daily Alphabet. It’s what we use for reading instruction in our small groups. My parents receive a letter telling them all about our reading curriculum and what to expect over the year. It also introduces them to our language. 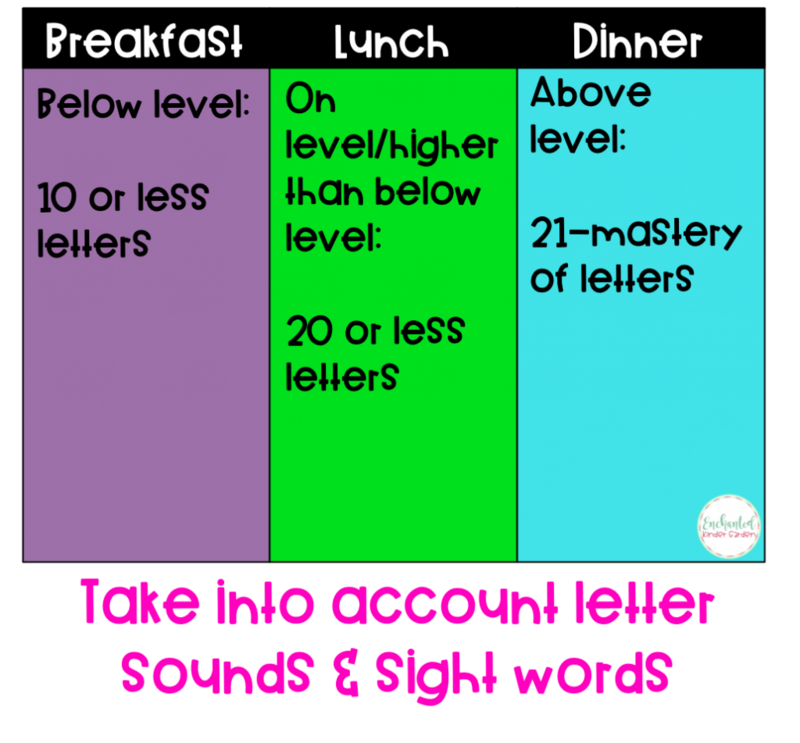 This includes what I call sight words (yummy words), the names of my small groups and other small tidbits that may be helpful for parents. With my students, I get all into character. The trick is having something to entice them with. My red apron and chef hat do the trick to get my students to buy-in to what I’m selling. At first, I start by telling them about a diner and that a diner has food. It has a ton of choices. Of course your choices have to go on a plate. The plate introduction is probably one of my favorite parts. My students then learn a little secret. We also have a plate in our bodies. It’s inside of our head and it’s where we put all of our learning. It’s our brain. We refer back to the plate OVER and OVER again. Anytime I get ready to teach them something new, I tell them we’re going to add something to our plate and ask them what it is. 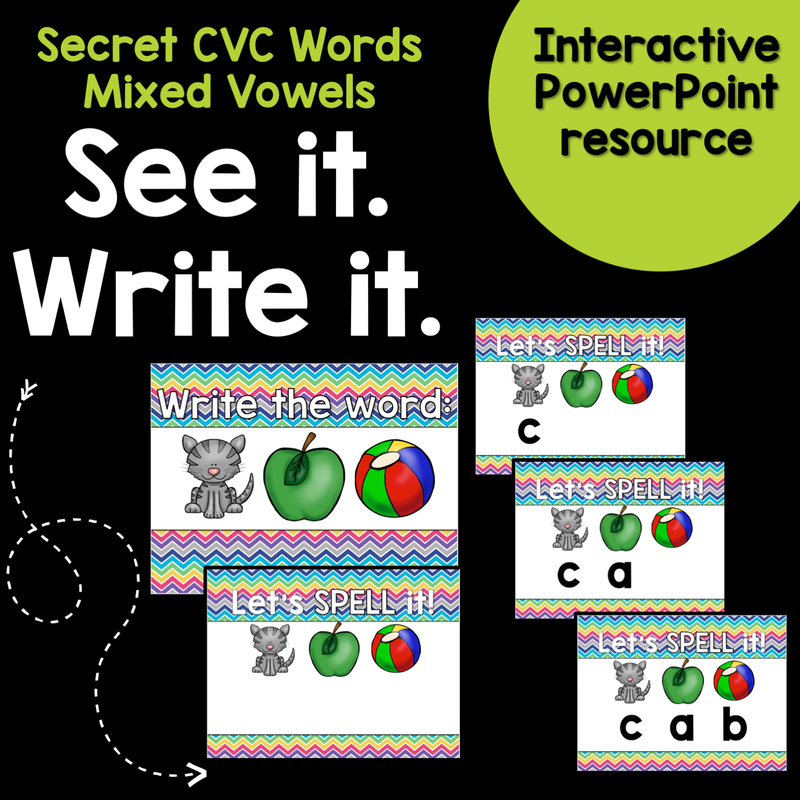 They quickly learn to say “our brain” and this creates the link between what I’m telling them and what they’re learning. As teachers, we also have a plate. This is very important during the planning process and when thinking about planning for reading small group. Think of creating your lesson plans as if you’re at a buffet. 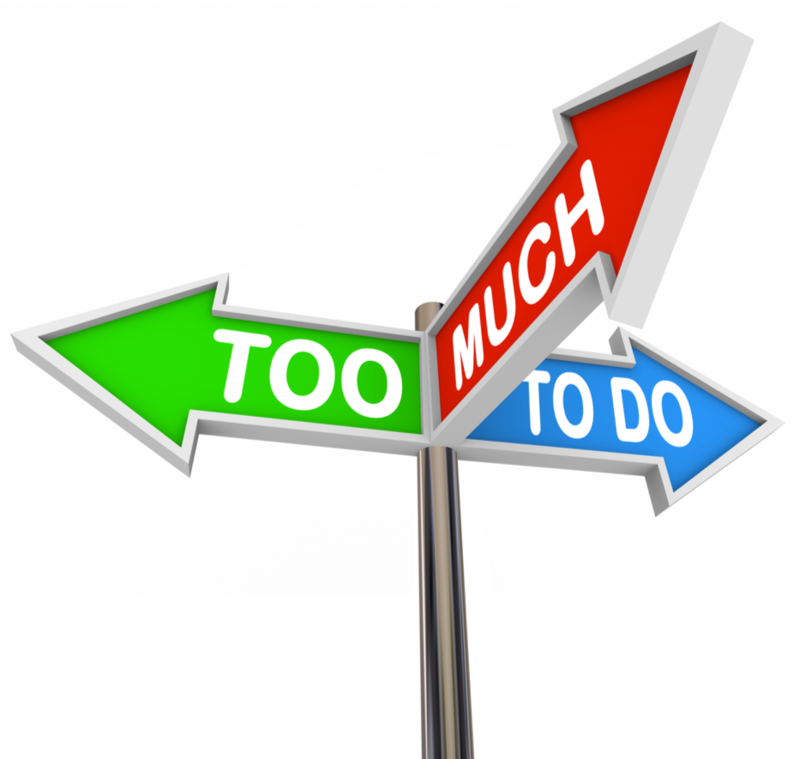 There is many choices to choose from, but you only have a small amount of real estate on your plate. You have to choose what you’re going to like the best. The same goes for teaching. You have to choose what is the best fit right now for your students. You want to sample everything, but of course there isn’t enough room. 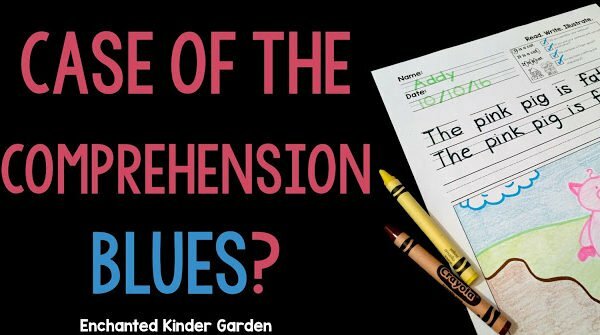 Each month, week, and even each day you have to make the decisions on what you’ll be teaching your students by adding it to your teacher plate. 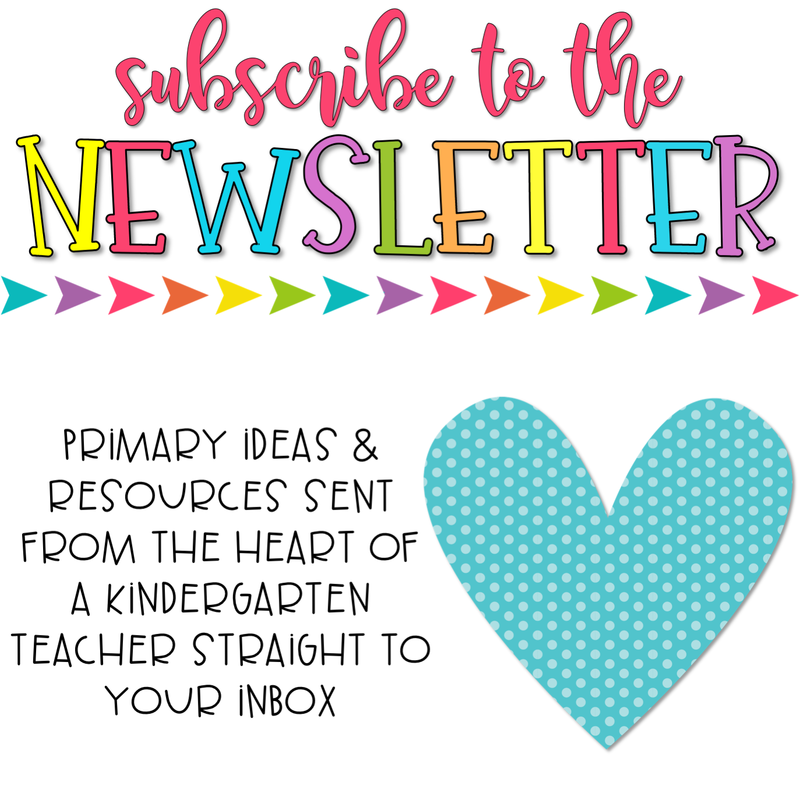 At the beginning of the year, we begin introducing the letters with a 26-day Alphabet Buffet. After we’ve introduced each of the letters, I assess my students. 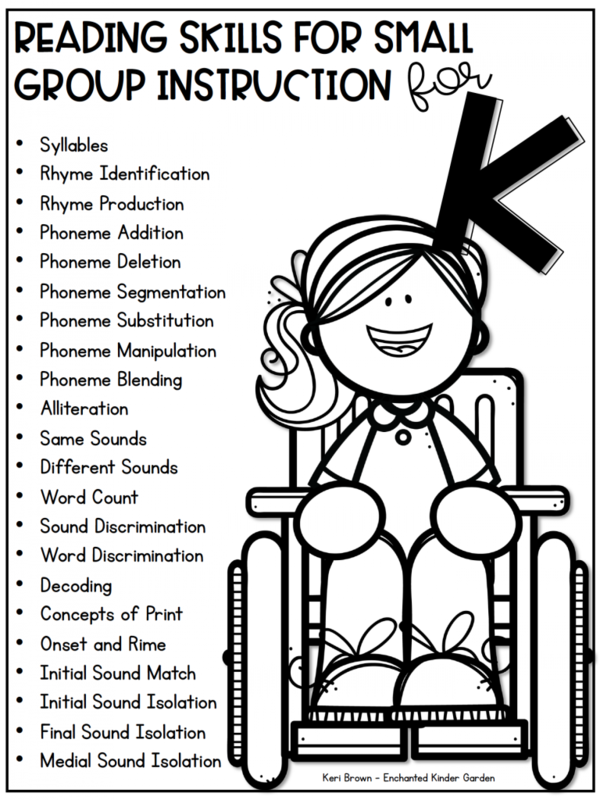 The assessment is also in The Phonics Diner. I look at letter names and letter sounds only for group placements. I also take into account other small things I’ve observed, but mostly letters and sounds. In my notes, I write down who has how many of each and sort them into three groups. We have the Breakfast Club, Lunch Club, and Dinner Club. The Breakfast Club, I put all students who knew 10 or less letters in this group. For the Lunch Club, students knew 20 or less letters. For the Dinner Club, students knew 21 letters to mastery. These groups are VERY flexible. If I had too many in one group, I just moved students to the next group or split a group into two to make it more manageable. These are now my reading groups to begin with. During the summer, my team and I have always planned out what we were going to teach and when. Even more, you may have a school district that plans this out for you. Use either of these guides to plan your small group instruction around. We decided to plan our year on three different pacings. It only makes sense that our students have the option to have differentiated small groups. Having a plan in place does not mean it has to be stuck as is. 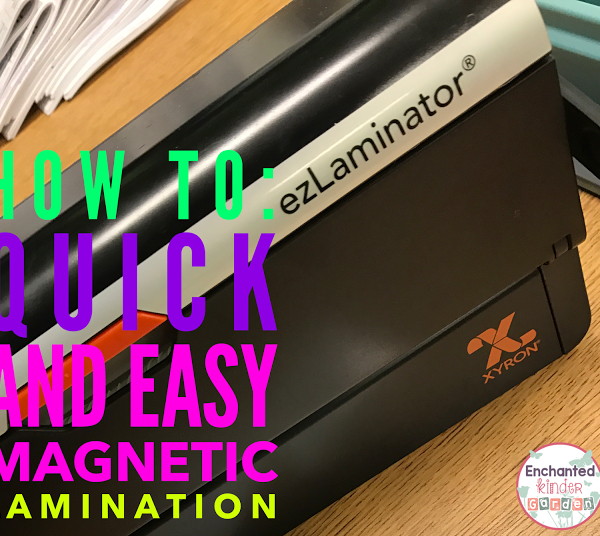 It is very flexible, but gives you a start and end to guide your instruction for each of your groups. We focused on phonics, phonemic awareness and sight words for our pacing. We call it The Menu. It’s our entire plan for the Breakfast, Lunch and Dinner Clubs for the year. 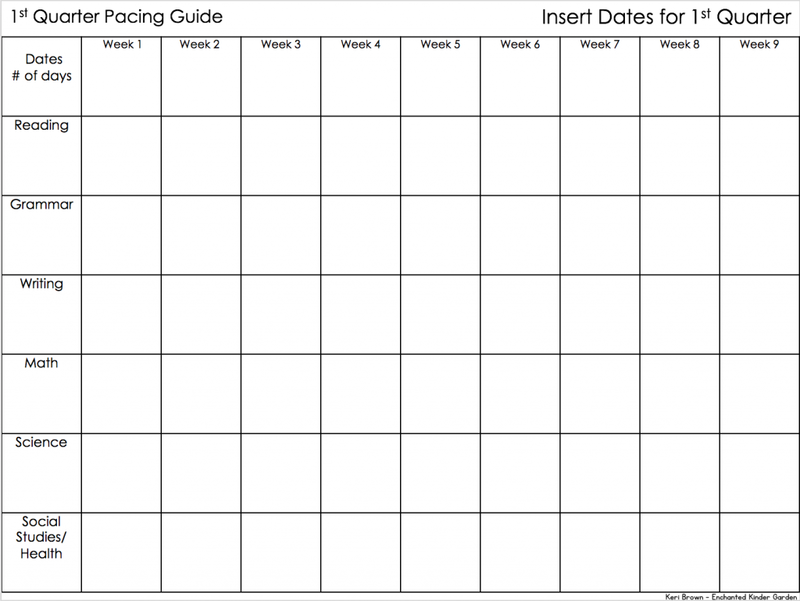 If you need a little help planning your year, here is a blank template for planning your Scope and Sequence. Feel free to change the columns/rows to fit your own needs. There is so much that can be done on daily or week-to-week basis as far as planning what to teach in small groups. Each week, you should try to review at least two different skills. It’s okay if one of the skills is the new skill you’re teaching. With that in mind, It’s best to always keep your students using skills that you’ve previously taught. 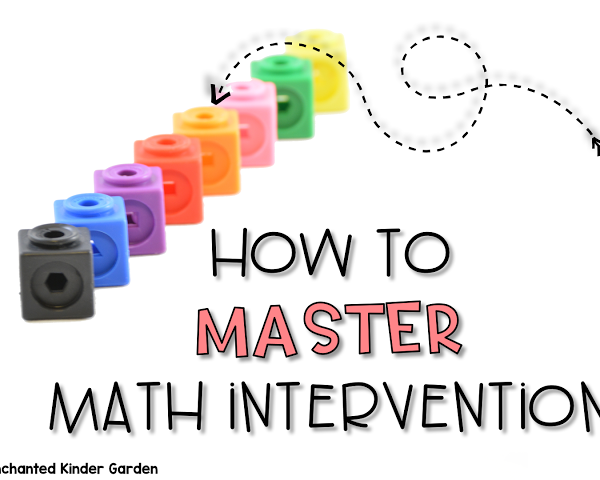 Don’t use it, you’ll lose it – especially in kindergarten. Here’s a great guide if you’re unsure what you could be teaching/reviewing. Once you’ve planned out for the year and decided what you’ll be teaching when, it’s time to break it down week to week. This is something that I’ll do two weeks max because my groups change SO frequently. A few years ago, I had a few templates that I loved to jot down what I was doing when. Here’s an updated version of them for you. There are a few versions of each so look carefully. There are blanks included as well to write in your own headings. If you can’t download it now, pin it for later. 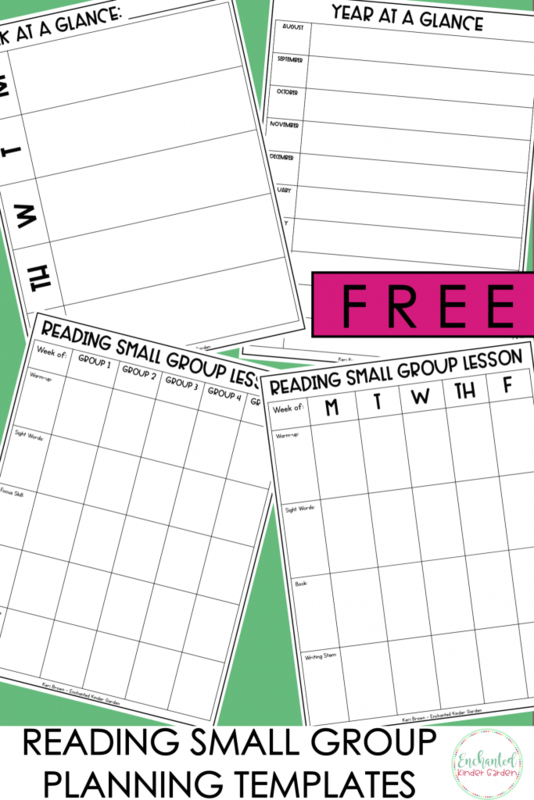 To grab the reading small group planning templates, I’ll send them STRAIGHT to your email. Click on the picture above or click HERE to grab your guided reading planning templates. 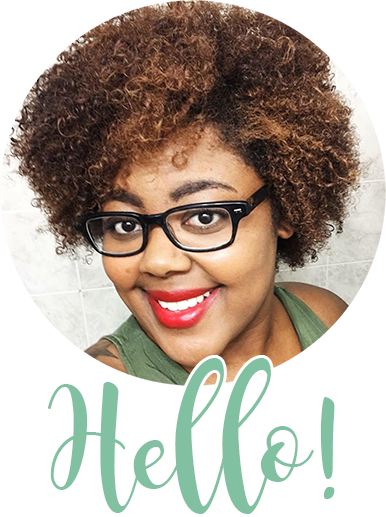 Next, grab a binder and get ready to place all of your essentials inside and meet me for the next post on Small Group Materials and Activities! Finally, if you’re in need of a planning sheet and a quick rundown of my routines for small group, check out the post How to Plan Small Groups and Love it.